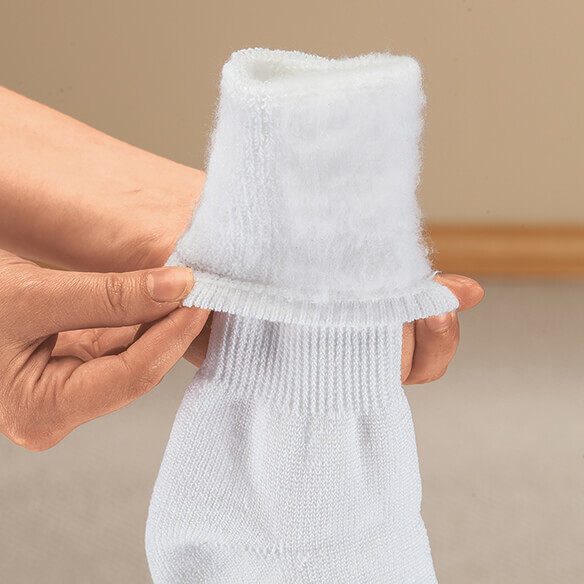 Keep toes toasty and feet cozy with these advanced insulating Silver Steps™ Heat Keeper Socks! Anyone who suffers from cold extremities or poor circulation will love wearing these heat holder socks indoors, outdoors and year-round. Makes a great gift! Specify size: Womens (fits shoe size 9-11), Mens (fits shoe size 10-13). Purchased for my elderly father, his feet seem to be cold all the time in winter months, hopefully these lined socks will keep his feet much warmer. Look warm and not binding . Will post review after receiving this socks. BEST ANSWER: Thank you for your question. 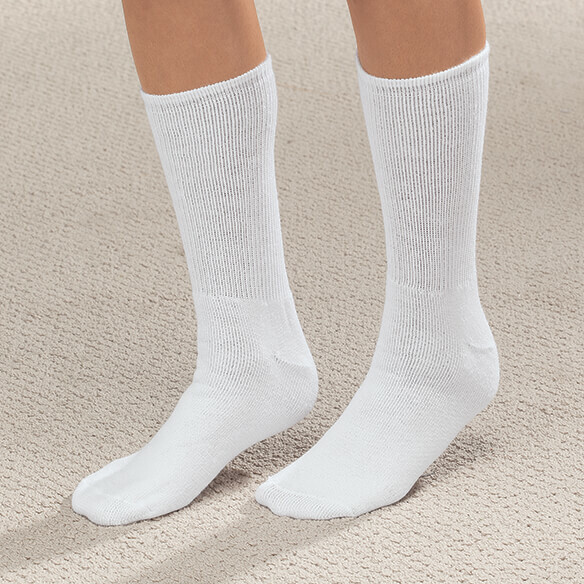 As long as the foot is a normal size these socks will fit a shoe of 8-10. We hope this information will be of help to you. BEST ANSWER: Thank you for your question. Unfortunately they only come in white. We hope this information will be of help to you.